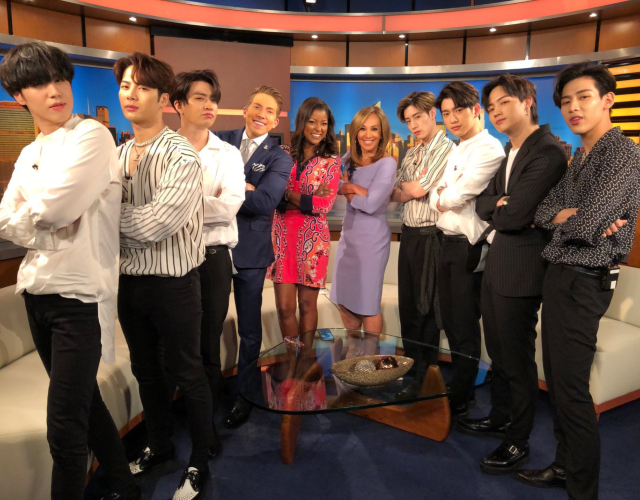 GOT7 and the host of talkshow ‘Good Day New York’ that airs in Fox Channel America has finally met. 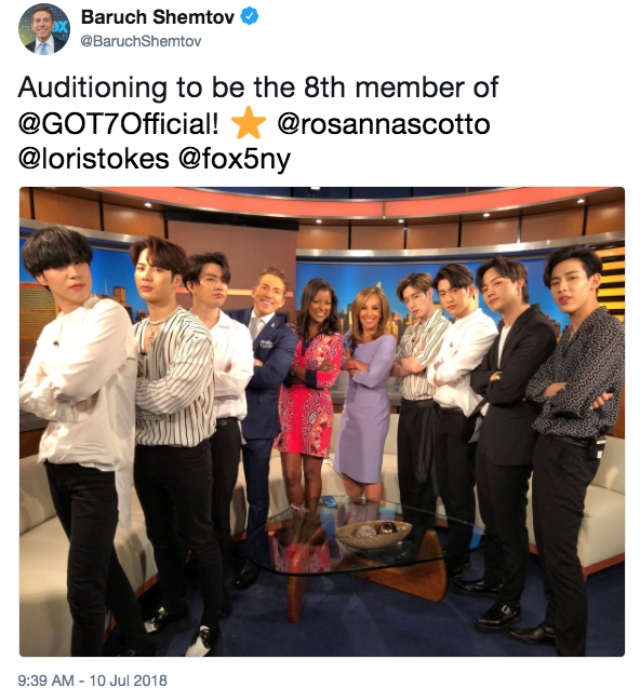 In the 10th of July (Local time) Baruch Shemtov, the host of a talkshow program ‘Good Day New York’ updated his twitter saying that he is currently auditioning for the eight member to join the seven member of GOT7 and he posted a picture which shows him and GOT7 member posing along with Rosanna and also Laurie. In the picture, GOT7 were seen along with the host as they standing and staring at the camera with the arms fold on their chest. 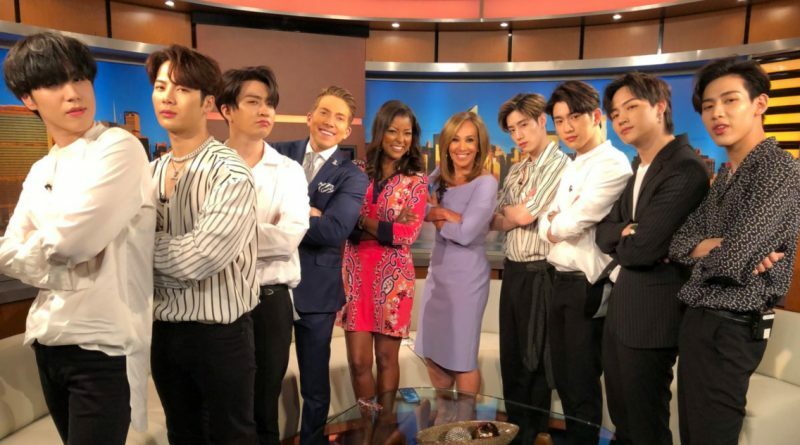 The host of ‘Good Day New York’ had showed their interest to each members of GOT7 and also the cameraman keep showing the fans that has waited for them outside the building. ‘Good Day New York’ has become the popular morning program that air in Fox Channel Amerika since 1988. A few Korean star has been there as a guest starting from Lee Byung Hun, singer and actor Ran, and also group Super Junior. Meanwhile, GOT7 is currently greeting their international fans through the world tour GOT 2018 WORLD TOUR EYES ON YOU and will do their next show in Barclais Center in New York in 13th of July. Then they will continue their tour to Mexico City before they returning to Asia and finish their world tour in 17 courtiers including Singapore and Hong Kong in 4 and 24th of August.